In order to get admitted into a Chinese university to study MBBS, the student from Saudi Arabia should have the minimum education level equivalent to that of Chinese high school graduation. The student should also have adequate sources in science subjects and English studying capability. Students should have no less than 60% aggregate in science subjects. MBBS is the most patronized course by international students who travel to China to study. 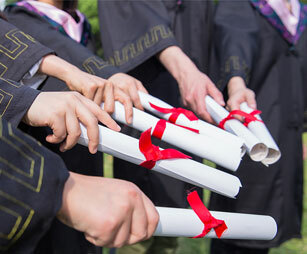 Saudi Arabian students are admitted in medical universities and colleges in China based on their results, transcripts and high school certificates. MBBS in China is taught in English Language by most universities and due to this fact; the students are required to show of a proof of their English language proficiency. Students from English speaking countries are not required for this purpose. Each university has their dynamic way of admitting students. Studying MBBS in China is not only cost effective but also offers a great curriculum for medicine. With a strong history and world-class education there is no need to be frightened by the unknown. The Muslim population in China is around 60 million people. In every city there are halal as well as supermarkets that sell halal products. Mosques and other prayer facilities are available all over the country and students should be assured that there is no form of discrimination. The accreditation of the universities have been accepted by the Saudi Arabian authorities so there will be no issue for the student to practice in their country. Students will need to take their medical degree or diploma and get it authenticated at the Saudi embassy or delegated representative in China after graduation.